TooL8 are Sven Kirchner alias Horst Koffer and Max Keck, also known as Max Knospe. 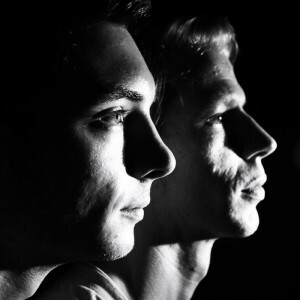 With their live-sets these two Bergisch guys (residents of BergWacht) are a fixture of BergWacht for a long time and had their first label-signing with “Schmitzhöhe”, the debut release on BergWacht Records. Horst and Max are tuning techno tracks since 2007 – and since the beginning of 2011 they are tuning together as TooL8. Their productions can be classed with melodic techno / techno, playful and harmonious, and often are like a pure blossoming of emotions and feelings, which they try to perform in their own manner. The second release is out on the Berlin label Maripoza Records with Voyage EP. Four tracks the two guys produced with all their musical input and feelings, they get the last two years. The track „Voyage d’ete“ was the result of the experiences of the summer 2012, much feelings and nice memories coming up by hearing the track. Voyage d’ete is france and means „the summer`s journey“. „Blue Moon“ TooL8 and The Hypnotic Lights, a track with nice vocals by Ina Becker and Hannes Matthias. Hear the track and walk under the blue moon.